The past week we delved deeper into the world and lifestyle of Neanderthals. 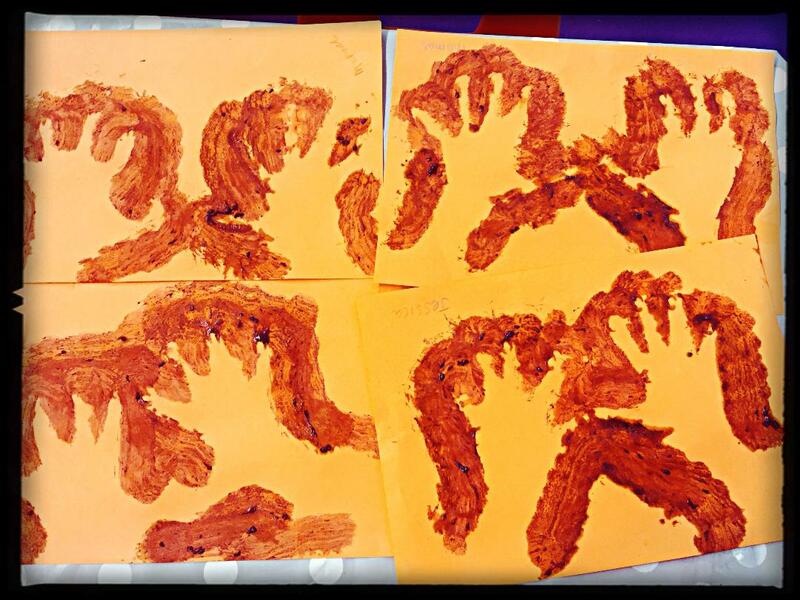 We had discussed what they made their paint from last week and this week decided to think about other aspects of Neanderthal life. So! We looked at where in the world they lived. Out came the continents puzzle map and we identified all the continents and placed a man from our ‘m’ sound bag in Europe. Also in our sound bad was a ‘monkey’ and a ‘mermaid’. We debated if the Neanderthals came into contact with those and the children rationalised that the mermaid would ‘definitely not’ be found on land and anyway as one said ‘but Fawzia they are pretend’, and as for the monkey, ‘perhaps not as they like it hot’ and we had already had talked about Neanderthals living in the Ice Age. In the pages of this wonderful book we learned that Neanderthals were actually quite clever: they made fire. One child asked ‘how’ so we looked it up in the book and found out they made sparks from striking flint or they rubbed wood; the Neanderthals made tents – again another child asked ‘how’? so we looked it up in the book and found out they used animal hides – they hunted. And again a child questioned ‘but what did they hunt with?’ so we looked it up in the book and found pictures of different types of blades they made from flint and bones. And we all concluded Neanderthals were actually pretty smart people. Funnily enough last night on TV there was a programme all about Neanderthals and it concluded what the children had thought, that Neanderthals were intelligent, cognitive and on the money! 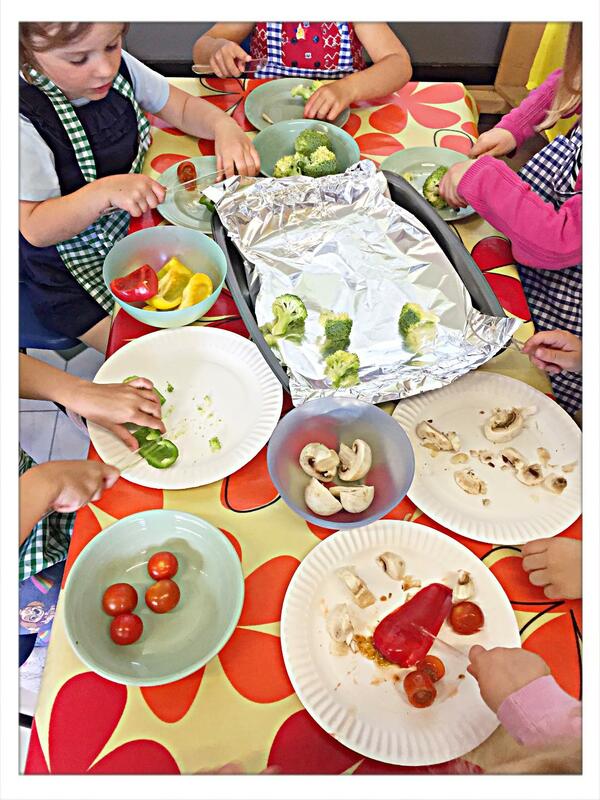 In baking we prepared healthy snacks of roasted vegetables with garlic and herbs – rosemary and thyme plucked from the nursery garden. 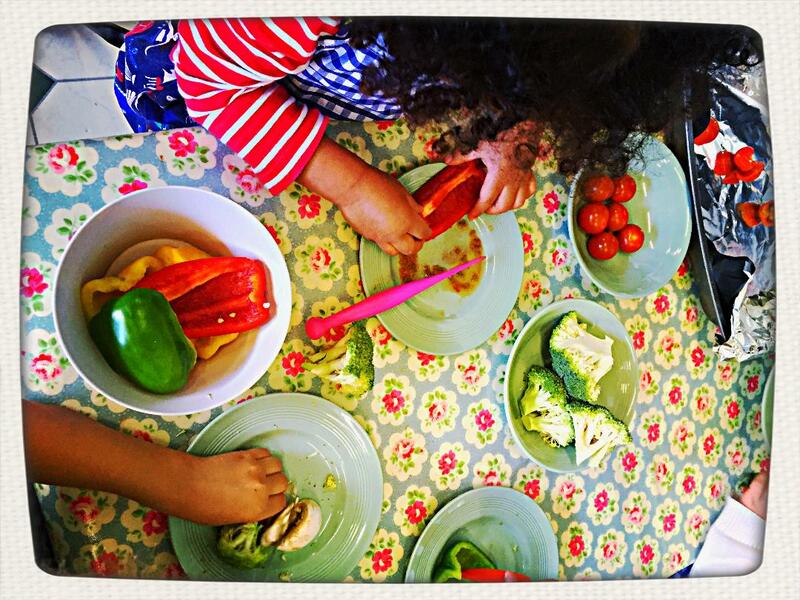 The children were busy, smashing garlic, plucking rosemary and chopping peppers, tomatoes and florets of broccoli. One girl said that we could find more mushrooms in the Gruffalo’s forest which was handy as we nearly ran out! And finally! 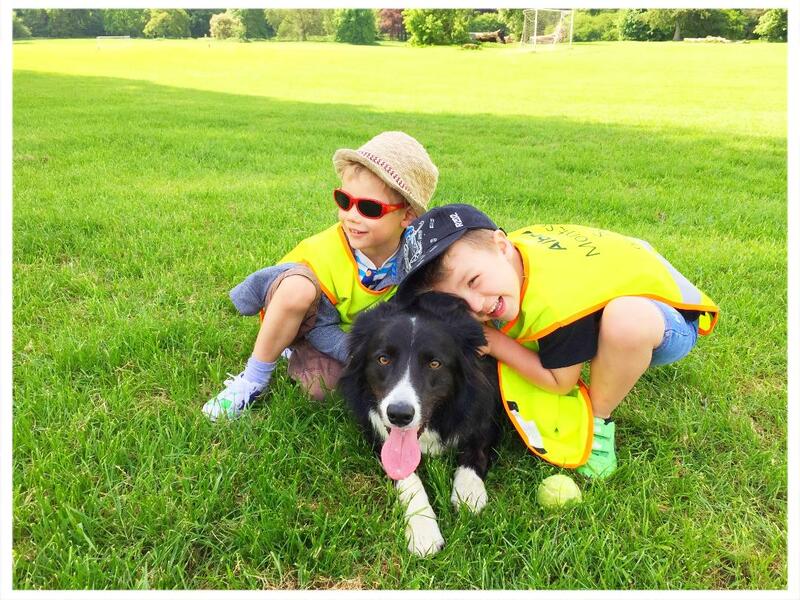 On a summery walk to the park Archie (our border collie) had fun chilling out with the children! This week we are painting like Egyptians! We learned about people – we named them Neanderthals (one boy insisted on calling them Neanderthals) that used to stride the Earth. They lived in caves and they hunted animals, and they painted. They painted with berries and animal fat. ‘What’s fat?’ one of the children asked. Hmmm... without wanting to fat shame myself, I ventured, ‘We all have fat – humans and animals – to keep us warm. And we have muscles which help us move’. The children and I then patted and felt our arms, legs and tummies. ‘Where were the muscles in our arms?’ We flexed our arms and found biceps and triceps, ‘And what were they hidden beneath?’ I asked. Silence and then, ‘Fat?’ suggested a girl. ‘Yes! We have layers of fat beneath our skin. They help to keep us warm’ I told them. ‘And do they help to protect us when we fall?’ a boy asked. 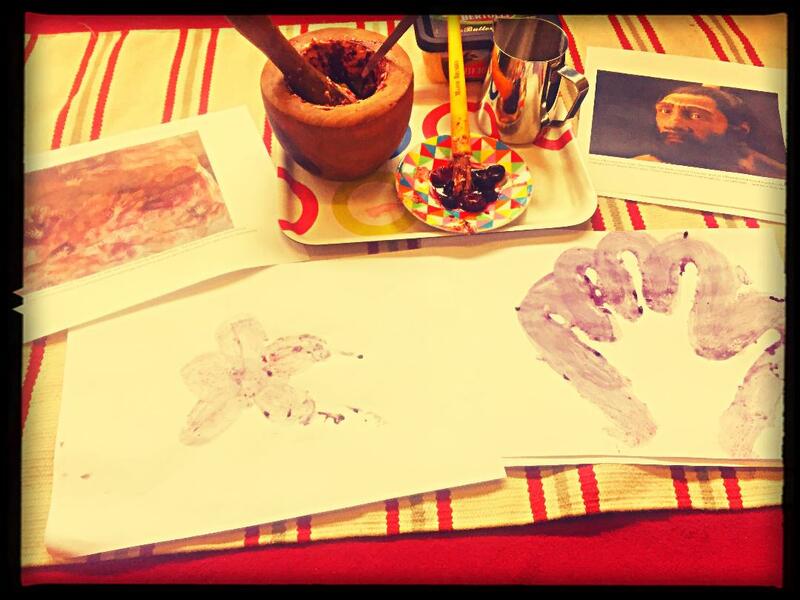 And after that little discussion we set about making Neanderthal paints. Using berries, butter (I couldn’t source animal fat and some of us are vegetarian) and a mortar and pestle. 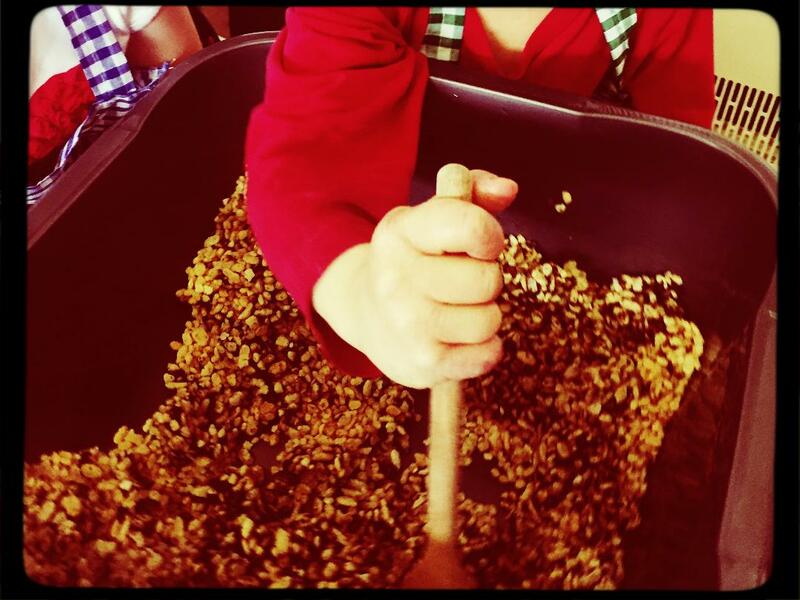 The children loved getting stuck in! We all got wet, greasy and messy! ​Welcome back welcome back welcome back!! We revised and reviewed the rules of the nursery (which we unpinned from our display board) this week encouraging the children to phrase things positively. For example, instead of ‘Don’t run!’ it’s better to say ‘walk in the classroom’, and ‘Don’t shout’ is replaced with ‘Use inside voices.’ It was a great exercise in positive communication! I started off with our first rule of the nursery which is ‘Be Happy!’ One boy remarked, ‘That’s not a rule!’ to which I replied ‘Of course it is. We make the rules, and at the moment, there are no rules on what the rules are, so we can rule whatever we want as the rules!’ He accepted that! This week we are going to be starting our new topic of paints and artists! I am excited as over the next few weeks we will be recreating how to make paints and tying this in with the history of art and artists. 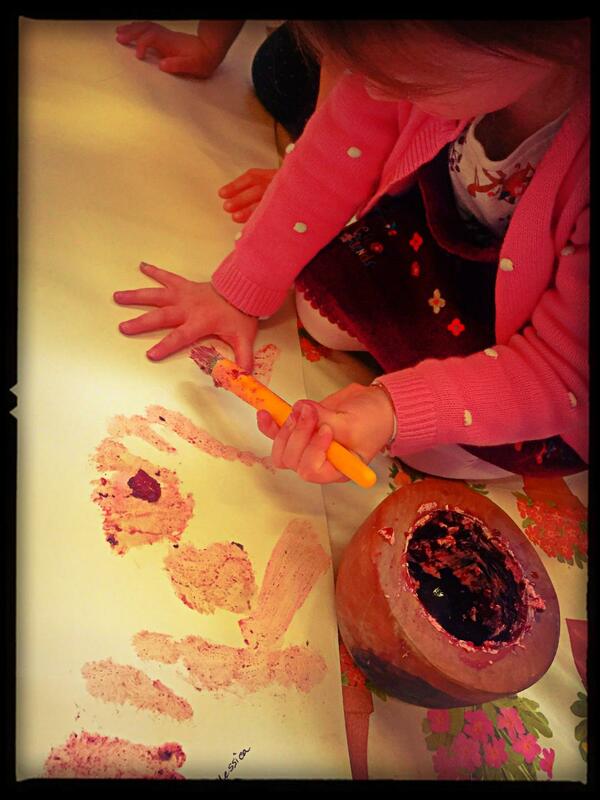 First up is Neanderthal cave paintings painted with berries and fat! So guess what I am taking in to nursery tomorrow?! Continuing on from the music of last week we finished the term with our, always delightful, singing assembly. The picture shows the calm before the storm, or to be more precise the calm before the cacophony of little and large voices, some lively spontaneous dancing, the sharing of hot cross buns, cakes and drinks and finally messages of happy Easter as everybody wended their way! Happy Easter holidays and looking forward to more learning fun next term! Easter is coming and music rings out from the nursery! 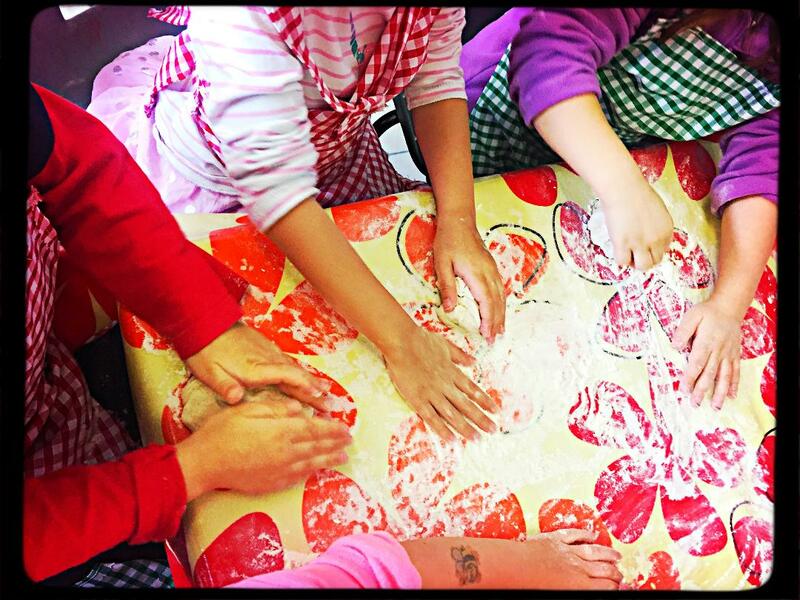 This week saw the start of the counting down to Easter; this was done in a variety of two ways; namely singing and baking and then more singing! All wholly beneficial to the soul! 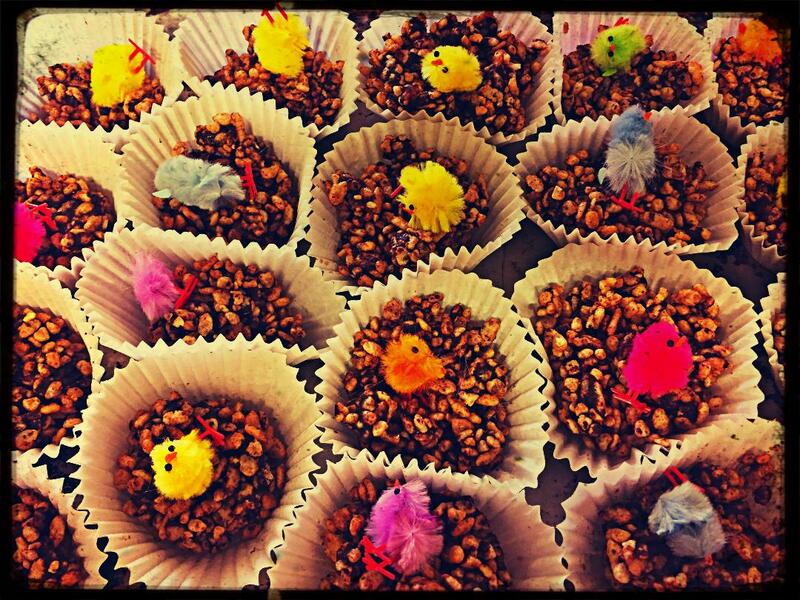 Another preparation for Easter came during baking when the children donned their newly sewn gingham aprons, courtesy of Anna, and set about making rice crispie chocolate nests. They were all very excited and what was impressive was their self restraint in not munching as they made! They popped some chicks in the nests, one child confirming ‘but we won’t eat the chicks’ and were very delighted when there was enough mix to make two each! They didn’t last long as they were tucked into at pick up time whilst going out of the gate. And finally to The Music Fun Day! 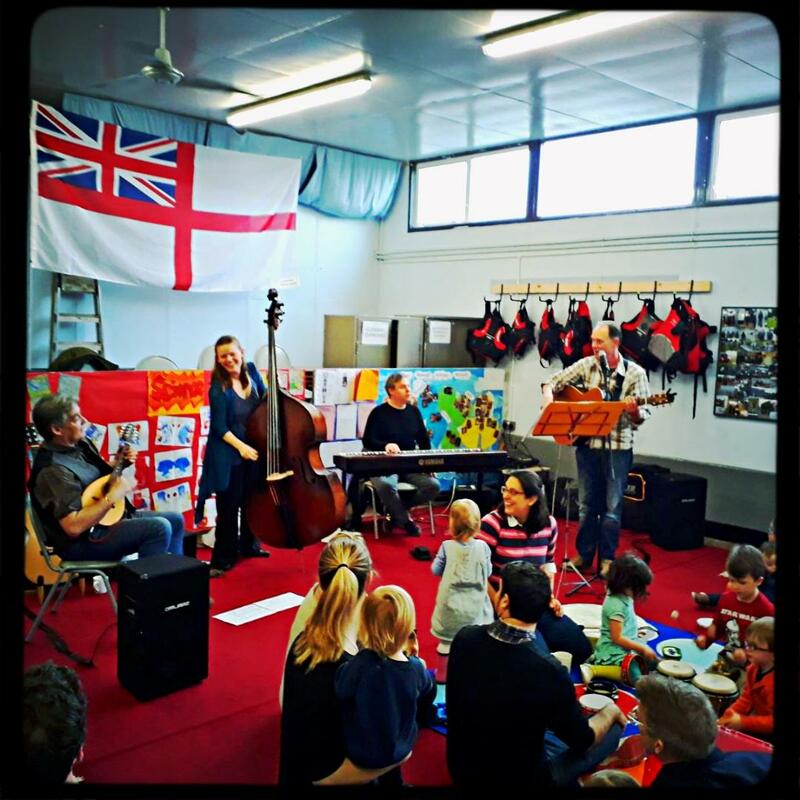 Tim has been wanting for a while to do an event, not only to promote the nursery but also something that all parents, current and old can enjoy… and so the Music Fun Day became a thing! Very exciting and as the name says fun fun and even more fun! Tim was able to pull together some stellar, and hugely accomplished, musicians and the band played for 2 sets of about an hour. All who attended enjoyed the day and the resounding consensus was that the music was simply fantastic; not only were there were the standard nursery songs – such as 'Wind the Bobbin Up’ and ‘If you’re Happy and you Know it’ and a delightful version of ‘Twinkle Twinkle Little star’ when full audience participation happened but also there were numbers like ‘Raindrops keep falling on my head’, ‘We all live in a Yellow Submarine’ and ‘I’m the King of the Swingers’ (from Jungle Book). The richness of the music was appreciated and the band are already thinking about the next event! Roll on the festival! ​Circumference, fractions, measuring our heads and St Patrick's Day!! We began the week meeting up again with Archimedes who we discovered was quite the bright spark! He loved circles and spheres and best of all he liked to measure anything he could about them. So! We took a few leaves out of Archimedes books and wondered how we would measure round our heads and we were to call this the circumference just like Archimedes had done. The children suggested using a ruler but it wasn’t bending so we used to string to measure round our heads and then the ruler to work out how many centimetres. We had no shortage of volunteers and the children enjoyed seeing who had the biggest head and how the circumferences of our heads all compared to one another; interestingly enough there was only a few centimetres between the biggest child’s head and the adult heads. Hmmm... interesting! We speculated that this was because we are born with such large brains and would you believe it?! – clearly inspired by the genius of Archimedes, we looked it up and we were right; By 2 years of age the child’s brain is nearly 2/3rds of the size of the adult brain. This aptly brings us to fractions – another one of Archimedes' loves and of course Pi (but that would be confusing!). We played around with fractions and named them, and also filled the cup up to a quarter, a third, a half and then full. We also added the stones to the water and measured in fractions how much the water was displaced. So much fun!! And at the end of the week we had a real treat. 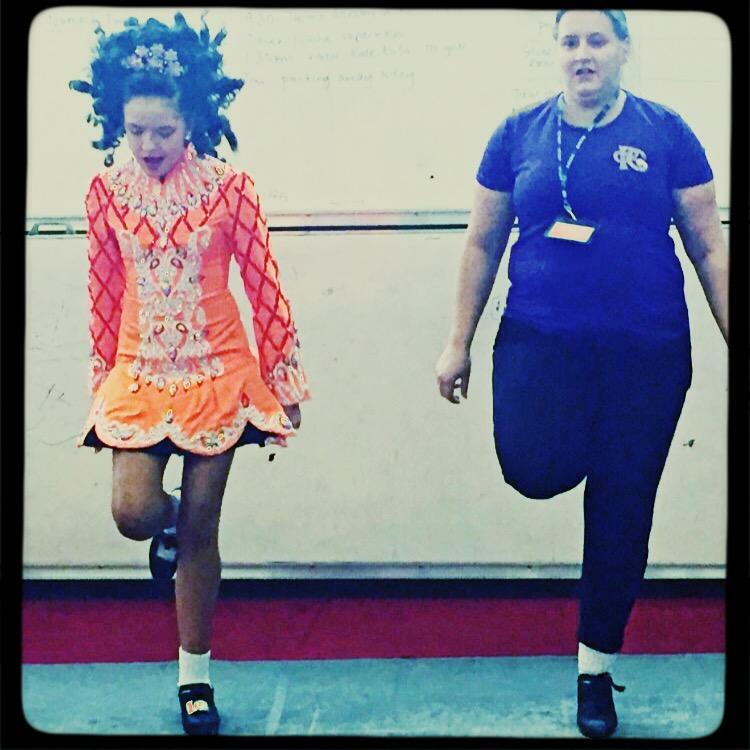 On the eve of St Patrick’s Day we were joined in circle by a couple of Irish Dancers. They did some reels, danced with the children and then merrily jigged an exit! Some of the children tried on the very bedazzling orange dress too. The conclusion from one boy was that it was ‘too heavy and itchy’ to wear all the time! This is Archimedes! 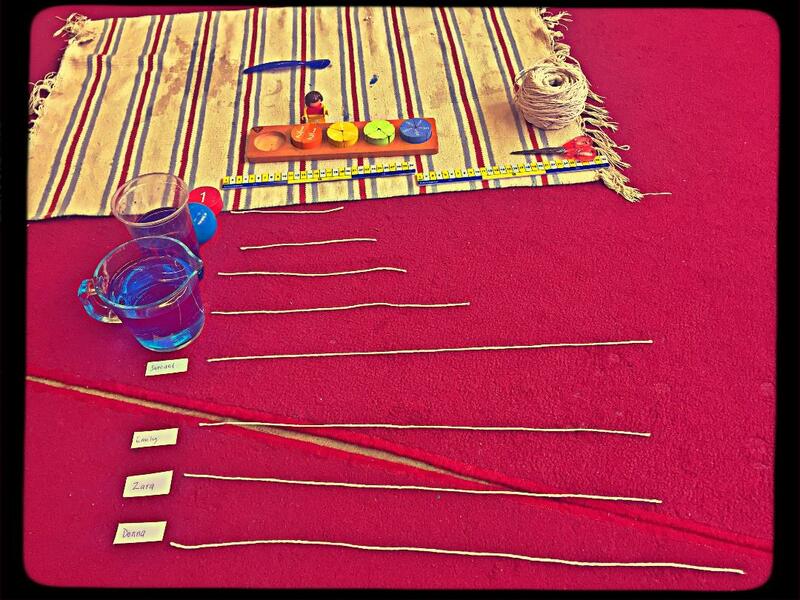 We have been learning about him and his principle of water displacement. 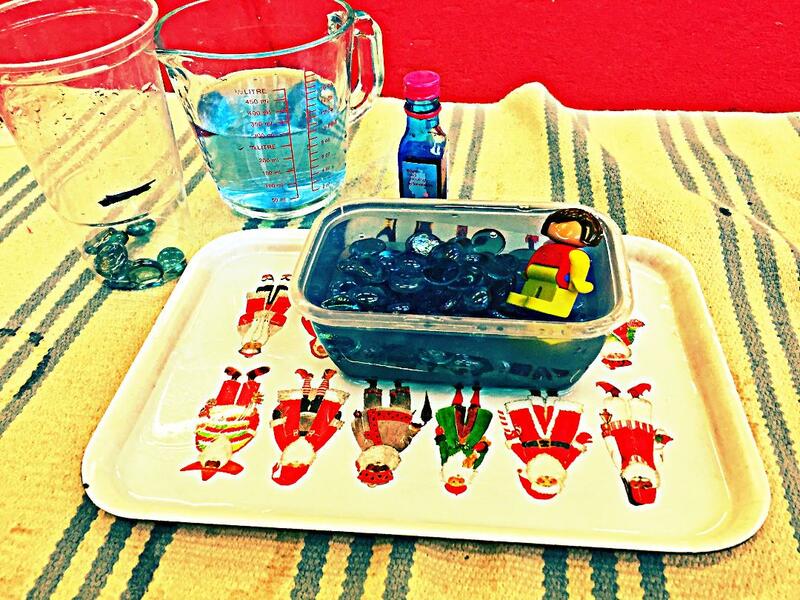 And the children absolutely delighted in putting him in the bath, and also putting blue stones in our pint glass with the black marker. Each time we did this over the week there was intense interest, anticipation and laughter as Archimedes splashed in the bath and water spilled out of the bath. And the stones made the water rise higher passing the black marker drawn on the pint glass. And the icing on the cake? ‘Eureka! Eureka! Eureka!’ Everyone cheered! One boy immediately answered, ‘water displacement.’ Brilliant! Well week 3 was all about listening to music and observing our feelings and thoughts. The music was classical and started of with depicting the seasons – we listened to Mendelssohn's Midsummer Night's Dream, Vivaldi's Winter, Tchaikovsky's Swan Lake, Pachelbel's Canon in D major, Rimsky's Flight of the Bumble Bee, and the Nutcracker. As the week went on and we were becoming more familiar with those ones we added the theme music to Star Wars, the Sorcerer's apprentice, and the title music of Harry Potter. We listened to Jazz – John Handy's Hardwork, and The Pink Panther theme tune. And it all went crazy when we played 'Let it Go'! It was a lovely week and the children said that some of the music made them feel sad, they wanted to march, they thought about flying in the air – like Batman!, they wanted to sway, and they thought of snowflakes skipping. We took advantage of the sun on a Friday afternoon and had our circle outside whilst basking in the sun and letting the music wash over us. Beautiful. 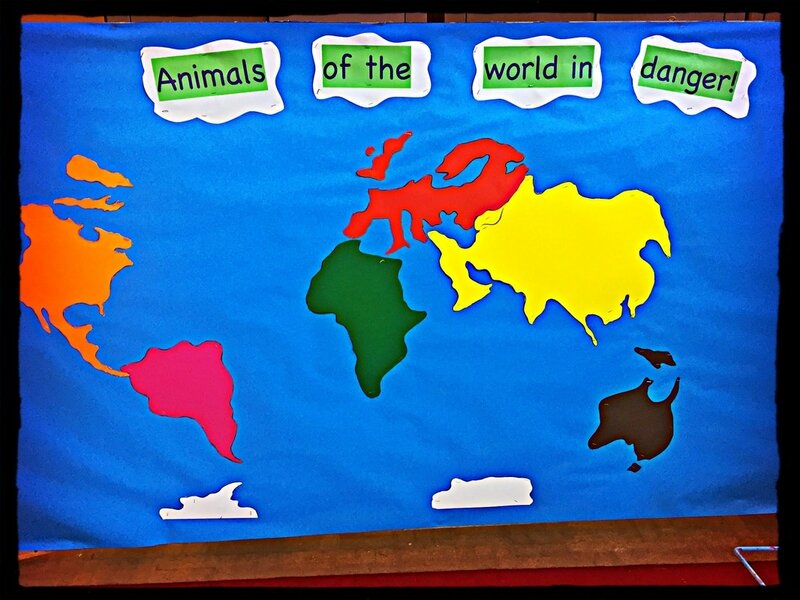 As we approach our main focus this term of animals of the world in danger it seemed a good idea to identify the different continents and where they are. 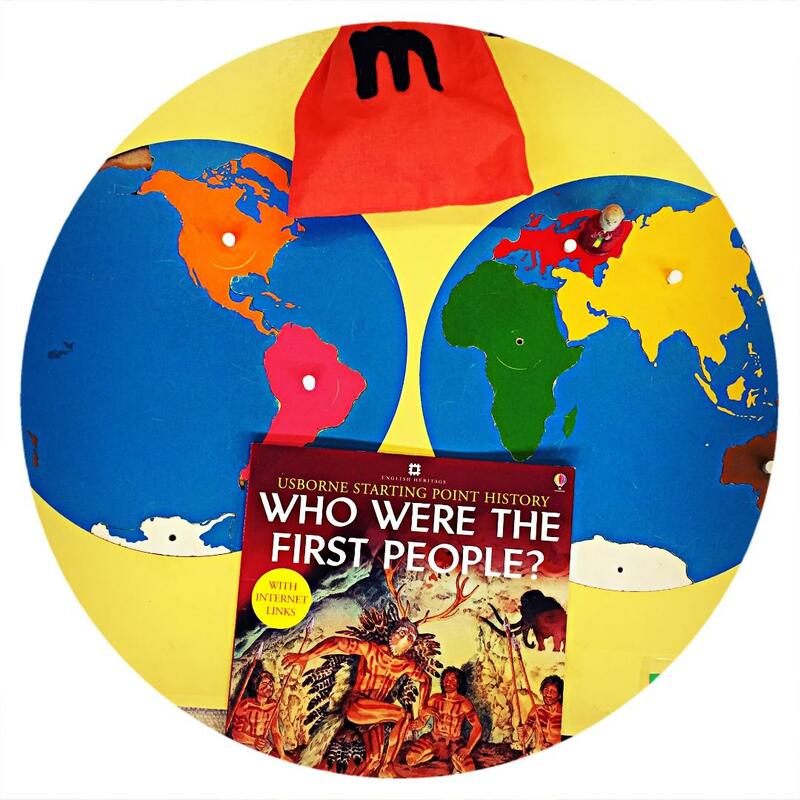 We brought the puzzle map and globes into circle and began to name them. The children discussed what they knew about them. Tim and I for the past year have often talked about bringing our extremely gorgeous border collie to the park to join the children on park days. Finally, and to the absolute pleasure of all the children, that day arrived last week! Archie greeted the children as they arrived in the morning. Most of the children were very excited although there was a small group who were not sure. I get it. Archie, although the most gentle and good natured dog, is also a big dog. In their eyes, from the ground Archie comes up to their shoulder height. Can you imagine?! If I came face to face with a dog whose nose could sniff my shoulder I would need some strong reassurance too! And so Archie joined us as we set off into the park walking alongside the children who, all hold on to our waking rope, had eyes glued to him! As soon as we could Tim took Archie off the lead and began flinging the ball far and wide for the dog to fetch. It was brilliant! The children loved watching him chase the ball and bring it back to throw again. So a wonderful success! The children asked if Archie would be coming again and we agreed very quickly that he should be a regular fixture on park days. Me: Hmmm... so I have a question. What should we name our new room for the two year olds? Child 1: "The baby room." Me: "Is it a room for babies?" Child 2: "The little room." Child 3: "The Princess room." Child 4: "The Prince room." Child 5: "The Incredibles Room." Child 5: "The Batman Room." Child 6: "The Hulk Smash Room!" Okay, I seemed to sense a little bit of a pattern emerging. Child 7: "The Octonaut Room." Child 8: "The My Little Pony Room." Child 9: "The TV Room." But we have no TV! Child 10: "The skateboard Room." And how would that work?! Child 11: "The ski Room." Somehow these wonderful suggestions it just weren't hitting the spot. Child 12: "The Globe Room." Okay, so let's put that to a heavily weighted vote in which my vote counts as the deciding one! Me: So shall we agree on the Globe Room then?! The nods to the floor decided it. 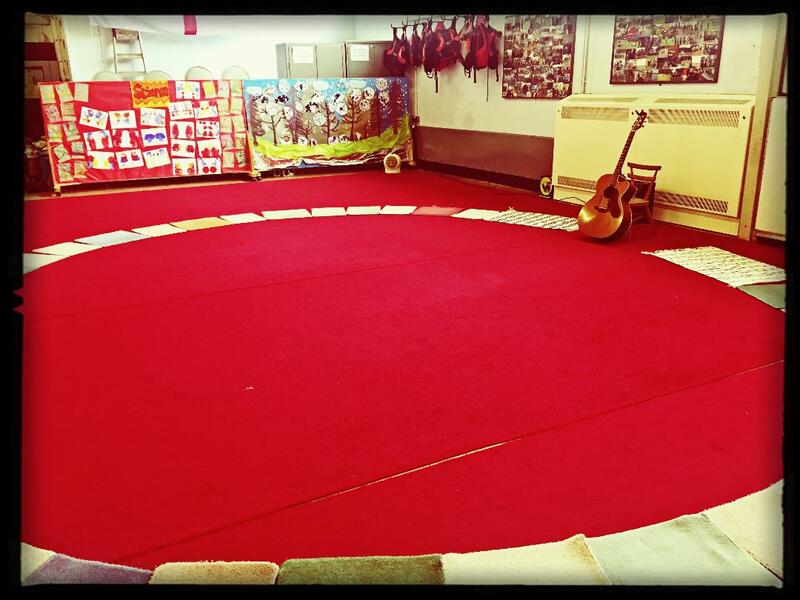 So the children and community at Albany Montessori are are pleased to name our new space – The Globe Room!